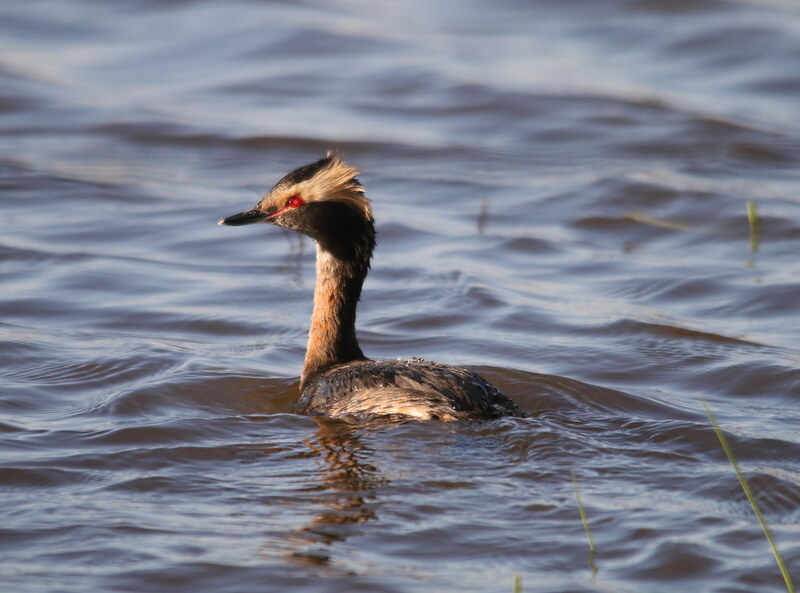 I had a very cool surprise while out birding the other day. I was driving along this area that has lots of water, a very wet wetland area. Not many species noted and was about ready to head out when I noticed a little grebe swimming along the edge. I just sat and waited to see if it would continue to come towards me. Sure enough it did kind of a zig and zag but it got closer. The evening light was pretty so I just continued to wait. As it got closer i was amazed it was something that I have not seen before. 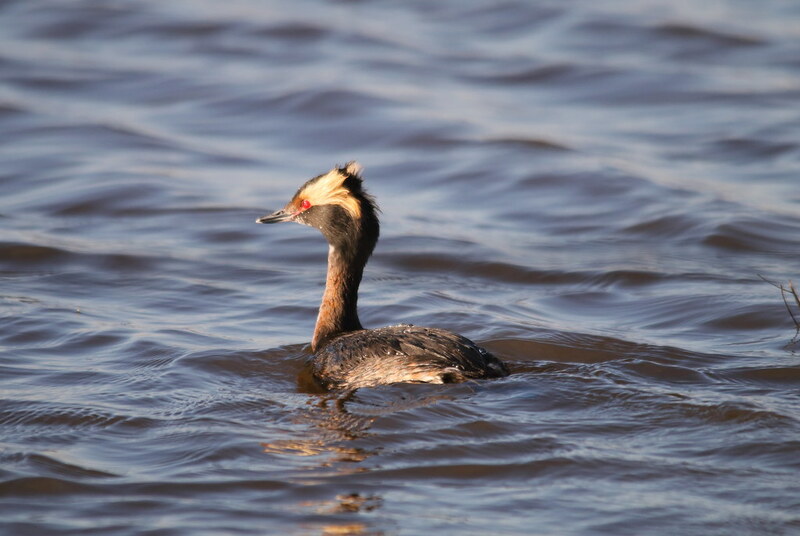 It was a Horned Grebe. So glad i did not just take off for home.